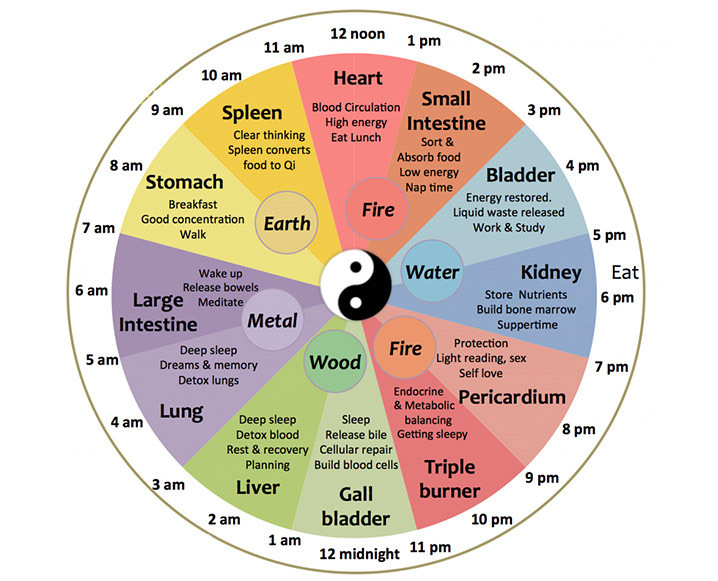 In Chinese medicine the concept of the Chinese Clock is that which splits the 24 hour clock into 12 2 hour segments where qi circulates at its strongest through certain meridians in the body. From the 15th Century onwards, or there abouts onwards, practitioners of internal arts who were generally both local or barefoot doctors analysed the functions and energy of the organs and began to register qi circulation and where it was prominent and deficient and realised the same time everyday their results were the same. From then onwards in medicinal texts and as practised today in Traditional Chinese Medicine (TCM)treatments can be applied to certain times of the day to aid stronger results. These 2 hour segments also cater for emotional and mental health as well as the organ health and functionality too. This diagram gives the basic idea of organs and their functionality in accordance to their allotted time’s in a 24 hour space. It can be very informative to consider these times when doing your practice or even to view when best to perform certain daily activities to align with TCM principles of health. Traditionally in internal martial arts this knowledge would be used by fighting martial artists to ascertain what meridians would be at their weakest so to inform a fighter on how they should overcome an assailant or challenger in their pugilistic endeavours. 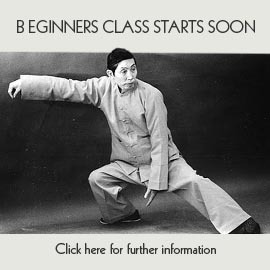 However today in TCM, Taiji/Qigong and even Taoist meditation this knowledge is often used to produce better results in development and health restorative issues more so. When you practice Taiji or even consider your general activities of the day it can be useful to remind oneself of the time of day it is and how altering your practice can bring about more efficient results.